It only lasted a few of hours. Really neat shot. Well done. This is a beautiful image. I like fog. I don't like spiders but I do like that web. 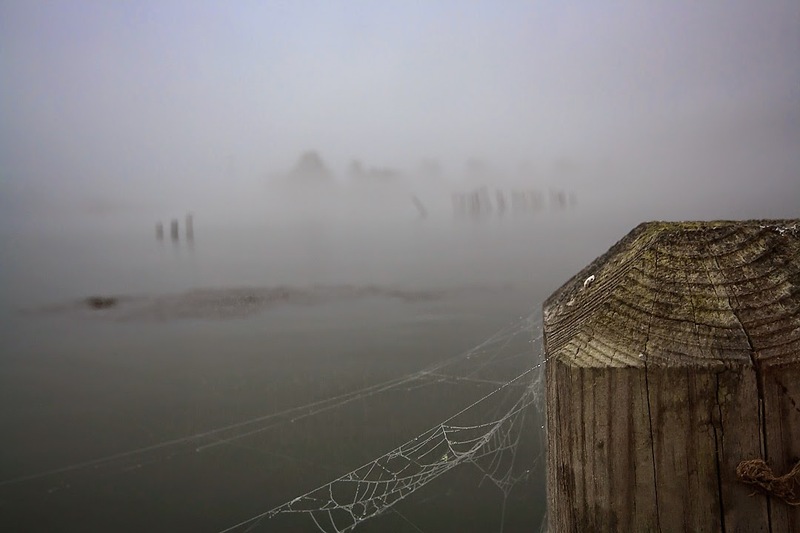 Cool capture of the fog and spiderwebs. Unconscious gorgeous and beautiful picture. It pays to be an early riser. Very foggy! I do like that web. I love the early morning hours!